Get to know the brilliant minds who will be sharing their brilliance with you! 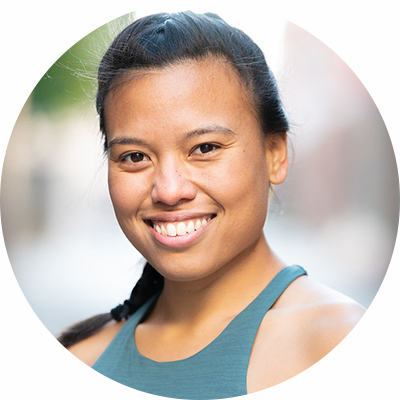 Paula Bui has been practicing and studying Yoga and AcroYoga since 2009. Each practice continually teaches her about patience and how to be a better person. She became a Certified Yoga and AcroYoga teacher in March and November of 2013, respectively. And then because she is always a student, she went on to complete her AcroYoga Level 2 certification. Paula is a practicing Thai bodyworker, freelance interpreter, and certified badass vegan baker. Community is kind of a big deal, so she figured what better way to celebrate it than organize a festival? Dan Plehal is an acrobat, yogi, teacher, and theatre director based in Chicago, specializing in Vinyasa and AcroYoga. He received his 200-Hour certification from Nature Yoga Sanctuary in Chicago and has been practicing yoga since 2007. He trained in acrobatics with the FLIC Squola di Circo (circus school) in Torino, Italy, the Accademia dell-Arte in Arezzo, Italy, and the Aloft Loft in Chicago. He is also the co-founder and co-artistic director of Aura Curiatlas Physical Theatre which creates innovative acrobatic-dance-theatre performances and tours throughout the US. A Pittsburgh native, Lux Seattle Acro has been teaching intermediate level classes in Seattle for the past nine years. His intuitive approach to teaching and creating mind-bendingly fun material has earned him a loyal following across the globe. His classes will teach you how to refine your practice and become a more sensitive, capable partner. 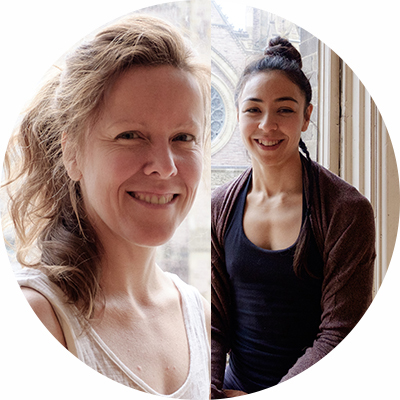 Integral members of the AcroYoga Montreal since 2010 and part of the Teacher Training Team since 2011, Heidi and Jill love to guide practitioners into experiences of alignment, balance and creativity. 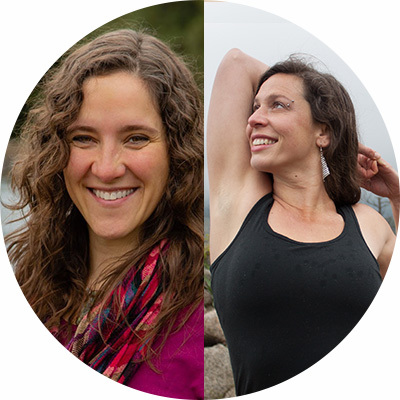 Grounded in practicality, filled with humour, and inspiringly meticulous, their teachings bring to the forefront a sense of energetic responsivity (physically and socially), in hopes of forging a sense of sustainability around the art of partnering. Amy Impellizzeri is a force of movement and fitness. Amy has been teaching acro, yoga, movement and fitness for over 20 years. She taught dance for 26 years, including 10 years at the University of Oregon as full-time faculty. She presents regularly at Yoga & Fitness Conferences, Acro Festivals and other international festivals in her nurturing, challenging, & fun style. Currently focused on hosted events as AcroFarmers, working on acro as a vehicle for social change, returning to dance and learning through exploring the planet as a full time nomad. Sarah Yovovich loves sharing Thai massage, handstands, and AcroYoga as tools for healing through play, and believes world peace would manifest if everyone practiced Thai massage! She also weaves wisdom from Chinese medicine's 5 Element Theory into all of her offerings, finding inspiration in the connections we can draw between nature and our internal landscapes. 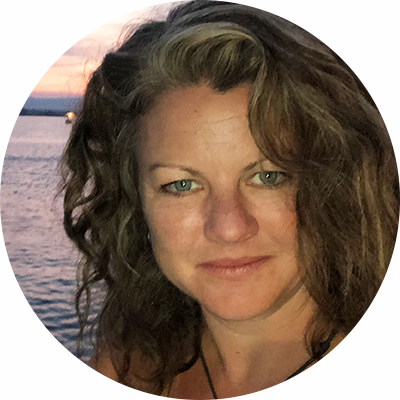 Laura loves practicing in community and moves into embodied relationship with curiosity, open communication and creativity. She teaches Yoga and AcroYoga to adults and kids in Boulder, CO. With an ever deepening understanding of both physical and spiritual anatomy she practices and teaches conscious, healing touch through Thai massage and luxurious therapeutic flights, in which the recipient can release deep holding patterns of stress and tension. 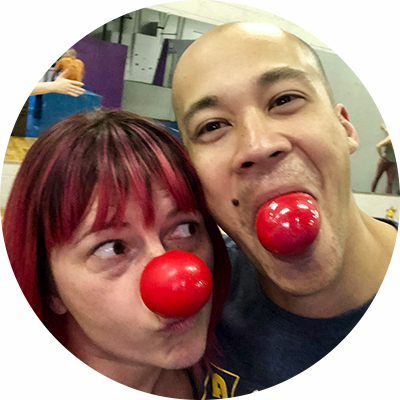 Veterinarian by day, monkey at all other times, Micki is an Acro Revolution instructor, co-founder of AcroEverywhere, director of Philly Phlight Festival and owner of Rebel Circus Arts. 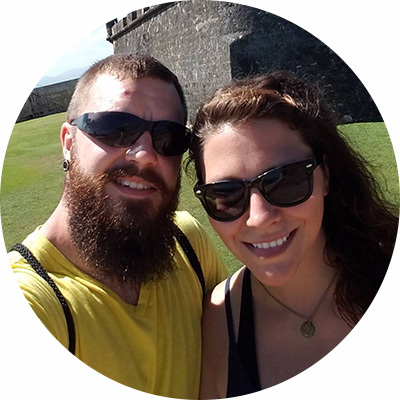 Jeremy is personal trainer, yoga instructor and strength coach turned full time monkey, and uses his knowledge of body mechanics and strength training/pre-habilitation to create sustainable acro practices for his students. In addition to being an Acro Revolution instructor, his projects include @acrostrong and AcroYogaNewYork.com. Joan Gavaler is a choreographer and performer, Professor of Dance at the College of William & Mary, and co-director of Aura CuriAtlas Physical Theatre. Joan has created (and often performed in) over 60 works in collaboration with movement, music, theatre, visual, and literary artists and has been invited by over 65 dance and theatre organizations to present and teach in the U. S., Europe, and Asia. She has taught choreography, modern, ballet, jazz, Contact Improvisation, partnering principles, Acro-Yoga, Alexander Technique, contemplative movement, and physical theatre. Zara is Australian and has been traveling and teaching acro for years, at festivals and in cities all over the US, Australia and Asia. Reno is a handbalancer who is known for his careful instruction of challenging and creative shapes and moves. Reno is Acro Revolution trained, Zara is Acroyoga Montreal. Both of them love teaching with an inclusive, supportive style and it's reflected in the way they work together. Jarred's practice started in early 2014 and he sough out AcroRev teaching certification shortly after that in the spring of 2015. Jarred also holds a 200h YTT certification. Jarred especially loves the joy found when an individual experiences their very first acro pose. He believes in encouraging beginners to never limit themselves because this practice can be adapted for anyone. 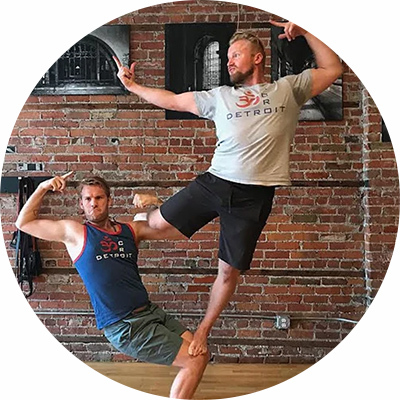 Certified AcroRev instructor Leigh Cordetti has been teaching with Jarred Keener in Columbus, Ohio since 2014. She completed her teaching certification in 2016, with the goal of bringing a safer practice back to her home community. Leigh's goal and greatest joy in acro comes from surprising people with their own abilities. Jarred and Leigh have been teaching and practicing together since the beginning and they co-organize Ohio’s first and only acroyoga festival “acrOhio” which will hold it's 4th annual event in Columbus on Labor Day weekend. 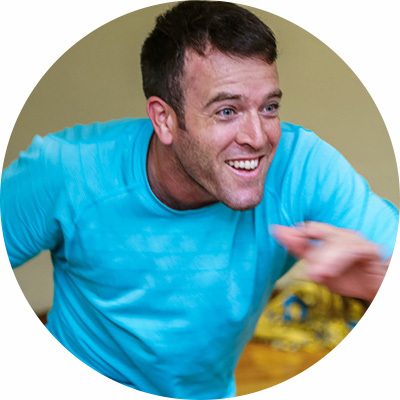 Matt Lindamood is a Human Performance Specialist based in Los Angeles and a Vienna, West Virginia native that has a passion for movement and the outdoors. In 2018 Matt was introduced to a new type of movement called Acroyoga at his local climbing gym and it quickly became a big part of his life. Shortly after experiencing this new practice he began assisting certified instructors at events such as Wanderlust and local classes in Chicago. 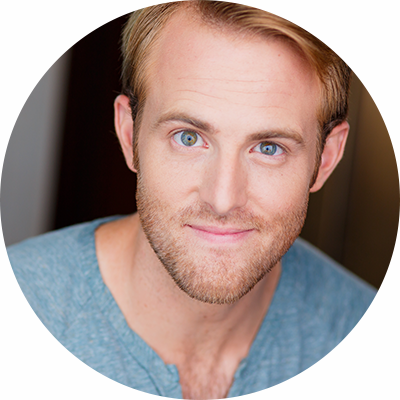 Now Matt co-teaches and works with some of the best acrobats in L.A.
Joe is both a certified AcroYogaMTL teacher and a 500 hour certified yoga instructor and has been teaching both since 2011. His additional interests have had him traveling and studying Taoism, shamanism, various forms of energy work and Thai Bodywork. 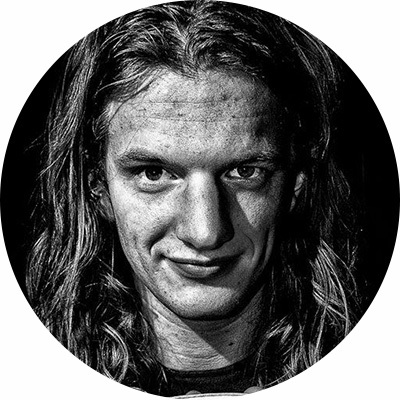 Joe also competes internationally in Cyr Wheel and was part of Team USA in the 2016 World Championships and placed second in the 2017 USA Championships. He teaches from the perspective that learning should be fun and that we should focus more of our energy toward what makes us feel good. His classes are typically filled with a great deal of laughter and joy even while students are meeting new and exciting challenges. Joe teaches his classes to challenge his students to expand beyond what they think is possible. Kat Evans is a Chicago-Based performing artist. She was certified to teach Acroyoga by Acroyoga Montreal in 2010 and has taught and performed acro on and off since then. In the Chicago theatre scene, she has recently been seen playing a princess transformed into a cow and condemned to eternal fly bites, young British men of various classes, and a few ingenues. She is a writer and regular voice actor with live monthly comedy show Starlight Radio Dreams. You can hear her voice work on podcasts Starlight Radio Dreams, Our Fair City, and Toxic Bag; you can see her in web series Geek Lounge, Why Don't You Like Me, and Lucky Jay Season 1 & 2. Mara Goldfine began yoga her freshman year of college, coinciding with her metal sculpture practice. The two practices complemented each other physically, while resonating deeply intellectually. Mara earned her 200 hours teacher certification at Frog Lotus yoga in Ubud, Bali, finding the beauty Indonesia a wonderful accompaniment to the intellectual stimulation of a traditional yoga education. Additionally, Mara recently completed a 500 hour teacher training with Andrey Lappa, the founder of Universal Yoga. She has gone on to further her yoga knowledge, expanding it to the therapeutic practices of Thai massage and to the more active practices of AcroYoga. I FOUND ACROYOGA SOON AFTER GETTING ADDICTED TO YOGA IN THE SPRING OF 2009. INITIALLY I FOUND GROUNDING AND SATISFACTION IN THE THERAPEUTIC/LUNAR ASPECTS OF THE PRACTICE. A YEAR LATER, AFTER MY YOGA PRACTICE HAD TAKEN ME INTO YOGA TEACHER TRAINING, I BEGAN TO FIND GREAT JOY AND ABILITY ACROBATIC SIDE AS WELL. AFTER TRAVELING THROUGH EUROPE AND TAKING PART IN WORKSHOPS, IMMERSIONS, AND THE DUTCH ACROBATIC FESTIVAL, I RETURNED TO CHICAGO TO REALLY EMBRACE THE PRACTICE. I HAVE BEEN TRAINING AND TEACHING SINCE THE WINTER OF 2011 AND I CONTINUE TO LEARN AND GROW IN CHICAGO. After Growing up practicing Martial Arts from his childhood thru his late young adult life, Robert's craving for different ways to explore movement and the body outside the realm of self defense brought him to his first Acroyoga Workshop in 2015. This led him to taking his yoga teacher training that same year and eventually his level 1 and level 2 Acroyoga teacher training which he recently completed in July of 2018. His method of joy and wholehearted playfulness allows for his students to connect and break down barriers of comfort and self limits to create growth and transformation. In 2007, Shawn began practicing AcroYoga, which led him towards yoga. He has been pursuing AcroYoga, participating in regular classes, festivals, workshops, acrobatic intensives, lunar therapeutic healing immersions, Thai massage classes, as well as performing in Partner Acrobatics. Through this art he has found a joy in blending all these aspects in a positive, supportive environment, fostering personal connection, partner connection, and group connection. Parts AcroYogi & Part Ninja -- Stephen is an AcroYoga International Teacher and Brazilian Jiu-Jitsu Brown Belt. Stephen has spent the last year traveling, learning, and sharing the art of movement with communities around the world. His mission is to cross-pollinate the Jiu-Jitsu & AcroYoga communities, co-create mindful connections, and continue to explore the balance between the Solar & Lunar Arts. Tatiana Cira Sanchez, a life-long dancer/yogini/performer/renaissance woman of Shaktimuse is a Chicago-based Certified AcroYoga.org teacher since 2008, training, teaching and cultivating community through her combined love of yoga, acrobatics, and Thai Massage. Versed in over 20 years as a modern/ flamenco dancer, musician, healer, arts/outreach educator, Tati is one of the few 200hr+ Certified Universal Yoga/Dance of Shiva Teachers in Chicago. Her eclectic style focuses on empowering every individual to explore alignment, breath, stillness, self expression/awareness in order to inspire and explore inner strength, trust, communication, loving kindness, and play. My awareness of Yoga began in the early 90’s as a dancer seeking more balance. I soon realized that Yoga is the way to transform each moment of our lives into an auspicious journey. The practice inspired so much benevolence in my heart that I dedicated my self and my life to a disciplined practice shortly after my first class. I practice and teach therapeutic, mindful vinyasa flow to align the breath and body through movement, AcroYoga as a commitment to playfulness and connection to local and global communities, Thai Massage to dive deeper into the giving and receiving of compassion, and meditation to connect to our true essence. I am also an avid traveler, world wanderer and student of nature, continually in awe of the inter-connectedness and oneness of all living things. My yoga practice has helped me create more comfort and peace with my body and presence in my mind. It is from this space that the inspiration for sharing and teaching is born.